Rock & Metal 4 You: CD-Review: Nordic Union - "Nordic Union"
"Oh my God, not another mediocre Frontiers project" was my first reaction when I read the news about Nordic Union. 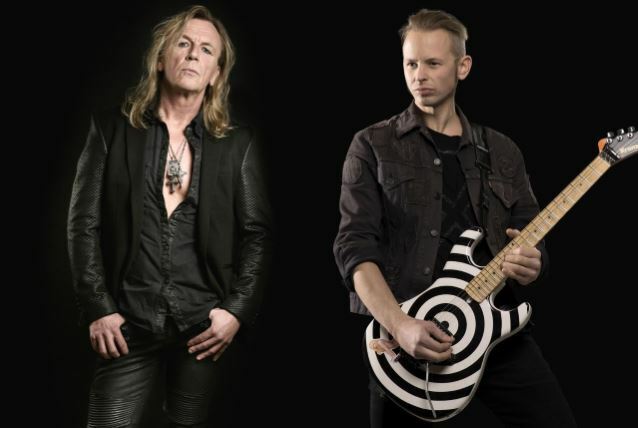 It is a collaboration between singer Ronnie Atkins from Danish rockers PRETTY MAIDS and Frontiers' "in-house composer"/guitarist Erik Martensson. The latter became one of Melodic Rock's most acclaimed songwriters in recent years with projects like W.E.T, Age Sten Nilsen's Ammunition and his own band Eclipse. Beside those three he contributed even more songs to various other artists. So, I was ready for standard - but very solid - fare. Man, I was so wrong. NORDIC UNION is one of those very few projects that deserve to be on the market. This collaboration is one of the best projects Frontiers ever released. I've to admit that Ronnie Atkins is one of my favorite singers and he is not that type of guy who is doing everything. Beside his appearence in Avantasia he never did any side projects, so you can be sure that "Nordic Union" has a certain quality. First it has absolutely amazing songs. You don't get complex songwriting here, but most of the tracks are very well-crafted, catchy Melodic Hard Rock tunes in Scandinavian style. That means there are some keyboards in the background, but they are never intrusive or slushy. The major focus lies on razor sharp guitars, performed by Martensson (like every other instrument beside the drums). He delivers some cool solos on this album and he also produced the whole record in a nearly perfect way. Then you have the awesome vocal performance of Ronnie Atkins. The songmaterial fits to his voice very well and sometimes it's not too far away from the more melodic side of Pretty Maids. So, it doesn't feel like commissioned work and has more of a Ronnie Atkins solo record. He is still aware of his vocal abilities and switches between very clean singing and rough roaring - just like every fan of him loves it. Just with the first two songs the album had my attention immediately. "The War Has Begun" and "Hypocrisy" are simply outstanding and stand for everything you love about this particular genre. On both you have this superb hook in the chorus that simply pulls you right in. Power, melody, fine arrangement - it's all there. And those are not the only winners. With "Point Of No Return" and "Go" you have two more songs of the same quality. If you like it a bit more heavy there is also some cool stuff to discover. "Wide Awake" and "When Death Is Calling" could have been Pretty Maids songs from recent years as they spread a more modern and heavier mood. On the other hand friends of ballads get also what they are looking for. "Every Heartbeat" and "True Love Awaits You" are beautiful ballads with lots of pop-appeal. Those tracks are made for radio airplay with their huge melodies that will stuck in your head for weeks. If there is one thing to complain about, then it's the fact that the songmaterial itself and the arrangements don't differ that much from each other. But that doesn't bother me as long as the quality of the songs is so good. 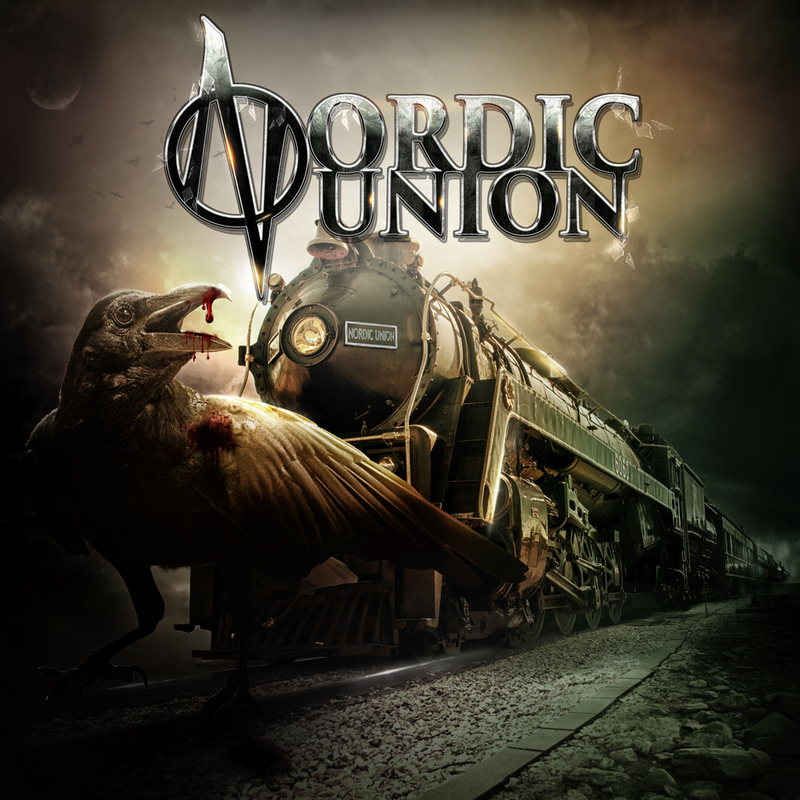 The bottom line is that NORDIC UNION is one of the best projects in years and it will take the heart of every Melodic Hard Rock fan by storm. Ronnie Atkins and Erik Martensson fit together perfectly and the songmaterial leaves no room for complaints. 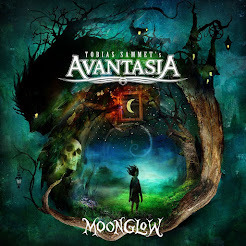 After Avantasia this is the next big thing in January 2016! Well, that year starts in a truely terrific way. Make sure you don't miss that one!! !